A men’s suit with linen, silk and wool mix with a quarter of skeleton lining is highly recommended for summers. This is because the fabric provides a lovely balance of weight, breathability and elegance. One should try and avoid pure linen because of the creasing. However, if you still want to go with a linen summer suit, then, follow this tip: roll up an old towel and stuff the sleeve before ironing the jacket. Nothing can be worse than an ironed crease down the sleeve of a linen jacket. Summers allow you to choose from a wider range of colours as compared to winters. A stone coloured summer suit is highly recommended because it not only lends a classic look but also allows you to experiment with a wide array of accessories. Though white may look crisp with a light coloured suit, it can be too pale for some men and make them look totally washed out. If this happens to be the case with you, then, it is recommended that you go for a shade or two darker than the men’s suit you’re wearing. The colour forest green pairs beautifully with a stone summer suit and white shirt. If you stuff your breast pocket with a complementary-coloured pocket square, you’ll be good to go. A pale men’s suit would look good with or without a tie depending on the occasion, but if you choose something colourful or with a stronger texture, it can punctuate your outfit well. Shoes provide the final touch to your summer outfit. A summer loafer in a nice neutral colour such as brown can complement your summer suit very well. 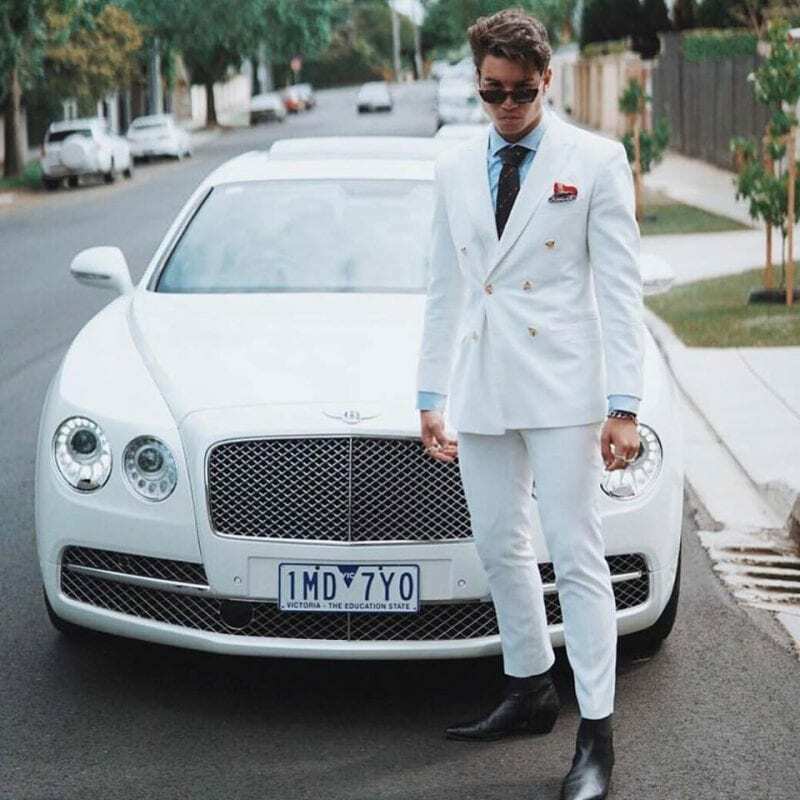 Briggins provide the best summer suits in Melbourne. We even have a travelling tailor who can visit you at the place of your choice to complete your suit measurements. For more details, contact us at 03 8821 4168. This entry was posted in Blog and tagged Custom Made Suits, Professional Stylish, Summer Suit, Summer Suit for Men's, Tailor Made Suits.